Seventy years ago this month an invasion fleet loaded with U.S. Marines sailed towards the tiny Pacific island of Iwo Jima. The attack transport USS Missoula carried the men of the 28th Marines, including at least two Montanans, Louis Charles Charlo of Evaro Montana and PFC Donald Ruhl of Columbus, Montana. When the men of the 28th Regiment left the Missoula to board their landing craft, they took with them a small American flag that was destined to make history. Louis Charlo was a member of the Salish tribe and a great-grandson of Chief Charlo. He enlisted in November 1943, one month after he turned 17, then trained at San Diego. He was serving as a BAR man with F Company on February 23, 1945 when he and three other men were sent to climb to the summit of 546-foot-high Mt. Suribachi. Magazine snapped a photograph just before a Japanese grenade hit near him, breaking his camera, but leaving the film unhurt. 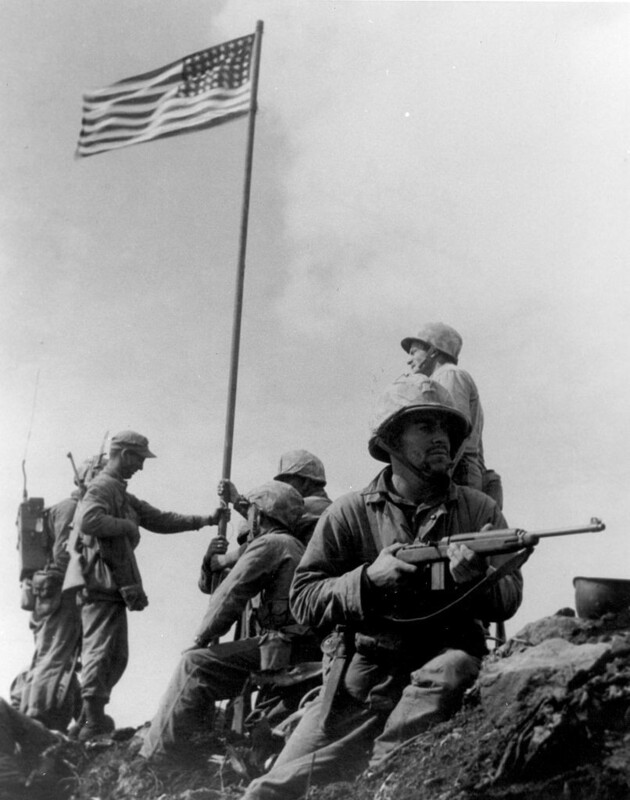 According to the official Marine Corps account of this first flag-raising, Louis Charlo was one of the men in the photo, although others have disputed this. Decades after the flag-raising, another Marine claimed that it was he and not Charlo who was shown in the original photo, but there is little to substantiate his claim. Seventh War Bond Drive, and as the inspiration for the Marine Corps War Memorial in Arlington, Virginia, dedicated in 1954. A catholic priest held a mass after Mt. Suribachi was captured. A photo taken during the mass showed Louis Charlo in the group. It was the last known photo of the man from Evaro. 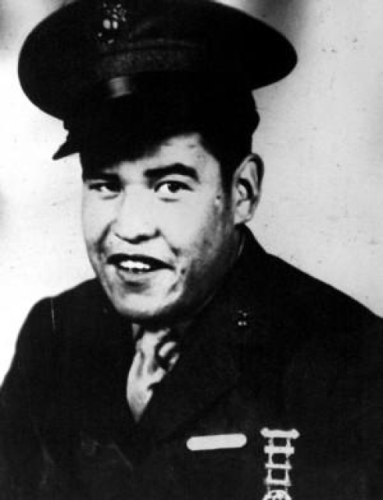 Charlo was killed in action on March 2, 1945, and his remains were returned to Montana in 1948. After extremely heavy casualties on both sides, Iwo Jima was finally secured on March 17.